What’s Up With My WiFi? In the last decade the Internet has undergone transformative changes, both in the way service is delivered to customers and the way customers utilize their Internet connection. Nowadays, when you look around your home it is nearly impossible not to see dozens if not more wirelessly connected devices. Your smart phone, your gaming system, your Netflix set-top box—even your thermostat and the speaker in your living room—they’re all examples of technologies which utilize wireless Internet connections to deliver a variety of services to our customers. Every day I speak with TDS customers from around the country who have questions about how their Internet service works. In the course of supporting those customers who make use of our wireless modems and routers, I have come across a number of common problems that people face, both in connecting to their network and in using it to its fullest capacity. Our mission today, should you choose to join me, is to explain some common misconceptions regarding wireless technology and arm you with some of the tools you can use to combat them. 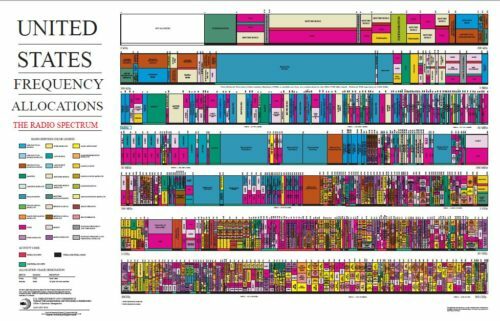 Before we get into specific problems, it is worth taking a few moments to better understand what WiFi is and how it works. WiFi is a data delivery system that utilizes an antenna capable of broadcasting a signal on the 802.11 protocol. The Internet connection is delivered to your home a number of ways, including (but limited to) traditional copper telephone lines, or high-speed fiber optic cable, where it is then converted into a radio signal that can be received by wireless-enabled devices. In layman’s terms what this all means is that your Internet service comes into your house via a hard-line connection of some sort and is converted into a WiFi signal by your modem or router. If you’re having problems with your WiFi, that’s always the first place to start. Now that we have a very basic understanding of the concepts and hardware, let’s look at some of the top problems people face when it comes to WiFi and how to combat them. WiFi is a tricky technology, and there are a multitude of factors that can cause you to receive low signal strength. In many cases, this is nothing more than the modem or router having aged to the point where its ability to broadcast has decreased. This isn’t unusual, and is something to be expected of any piece of electronics that is left turned on for days and weeks on end. In many cases, however, the issue is not resolved by simply replacing the hardware. Outside of simply getting old, the most common culprits when it comes to low signal strength are obstructions, or objects situated between the router and device you’re trying to use. Like any radio signal, WiFi is vulnerable to being blocked or interfered with by common household objects. This includes anything from the obvious things such as appliances, stairs, and floors, to not-so-obvious things such as ventilation shafts in the walls, fish tanks, and even certain ceramics. When situating your wireless router, remember to consider what communications professionals call “line-of-sight”, or LOS for short. Imagine drawing a line from your router to the device you are attempting to use and ask yourself whether that line passes through anything that which might interfere with the signal. If the answer is yes, then you may have found the source of your problem. And please, please do not place the router inside a large metal box or in the deepest recesses of your entertainment center. Yes, this happens. For a full troubleshooting guide for optimizing your WiFi signal, check out this blog. And, if you decide you want to try to hide our router, just make sure you don’t believe everything you read on Pinterest—some of those ideas may be pretty, but are terrible for reception. If you’ve already gone through the steps to place your router in the best possible location, and your signal strength is still low, it may be time to dig a little deeper. When you look at your computer or smart phone and pull up a list of available wireless networks, you will most likely see quite a few. Unless you live in a rural or otherwise isolated area, the average home will receive many signals from different wireless networks. The more networks you see on that list, the more “noise” there is for your router to cut through. What’s more, there are any number of items that are common in many homes that are using that same the frequency as WiFi to communicate. Cordless phones, some remote controlled cars, baby monitors, garage door openers, and even microwaves all use this little slice of spectrum to talk to each other. Clearly there’s a pretty crazy amount of radio waves out there! When trying to cut through that noise, the first thing you’ll want to do is get the lay of the land. This will require a little work, but you can download free apps or tools to help provide a list of WiFi networks within range, their signal strength, which of the available channels they’re using. [Note: as always, there’s a risk using free software—you know what they say: when something’s free, you’re the product!] Some routers will automatically select the best or least-congested channel whenever they are powered down and powered back up, but others will not. Once you know where the existing noise is coming from, you can troubleshoot your router and device placement. Let’s start with a very important WiFi fact: when you have older devices connected, your router’s antenna-no matter which router you have-will only communicate with your devices at the speed of the slowest device. Many routers now have multiple antennas to minimize the issues this can cause. Tech gadgets are hard-wired to work with the current WiFi protocols and standards available at the time they’re made. With the rapid evolution of technology, those protocols and standards have changed over time to support faster wireless speeds and greater security. This means that technology that was state of the art even a few years ago, could now be quite dated. Think about it like this: if you’re on the road and stuck behind an old car or a tractor in a no passing zone, you’re going to go slow too (and so is everyone else behind you). It doesn’t matter if you’re driving a Ferrari—you’re not going to get anywhere fast. The same is true for your home WiFi. Removing those old devices off your network will let the new tech move faster. Note: just having older gadgets in your house isn’t a problem as long as they’re not connected to your network. It’s like having that old Ford Model T in the garage for show—as long as it’s not on the road, it won’t slow anyone down. As of this blog update, the most current WiFi standard is called 802.11ac (real catchy, amiright? )—and a new one, 802.11ax is on the horizon. Devices that use the older standards (802.11 a, b, or g) are simply not capable of connecting at the same speeds as newer ones. Hot tip: Even if you feel like your device is pretty new, it may be worth checking to see if it’s using the current WiFi protocols (at least 802.11n, but 802.11ac is better). OSXdaily offers advice for finding out what protocol your Mac is using. If you use a PC running windows, the Dummies guide folks have some instructions for Windows 7 and Windows Vista. Google says that all Chromebooks support 802.11n. It may sound counterintuitive, but it’s true—speed isn’t always everything. When it comes to WiFi, sometimes it’s about finding a balance between speed and range. Routers broadcast the internet in your home using two frequency bands: 2.4GHz and 5GHz. 2.4Ghz isn’t as fast (theoretical limit of about 150Mbps) as 5Ghz (theoretical limit of about 1.3Gbps or 1300Mbps), but 2.4Ghz signals are generally able to travel further. This means that for an optimal internet experience, it’s best to have both frequencies in your toolkit. Many of the routers we provide support both frequency bands, and some of our devices even have multiple radios operating in the same band, which helps multiply the max capable traffic and support more devices simultaneously. But the moral of the story here is this: sometimes your device will connect to the “slower” frequency band, and that’s not always a bad thing. It’s probably doing it that way because it is the fastest based on the current circumstances. Let’s all admit one thing: passwords are the bane of our existence. Whether a technical support professional or an average customer, everyone has more passwords than they care to count. There’s the password for your bank, your power company, your beloved internet service provider and, most of all there’s the password for the WiFi. Without that password, life can seem impossible. Your Kindle or iPhone is rendered useless and all seems lost. I’ve even spoken with parents who routinely withhold the wireless password as a way of encouraging lazy children to complete their chores. Often times we will receive calls from customers who have either forgotten their wireless password or have had it mysteriously change on them. Now, sometimes this is the result of a little bit of amateur networking on the part of an enterprising youngster, and sometimes it’s something as simple as a power surge having hard reset the router. In either case, there is always hope when it comes to wireless password. We have a new blog Where is my WiFi Password and SSID for more help if you haven’t changed your default WiFi password—but we certainly hope you already have. The default password for any router is, in hacker circles, well-known. Heck, even a very curious or inspired neighbor could probably figure it out by doing a little Googling. Once on your network, hackers can do bad things like use your network for illegal things, upload malware designed to steal your personal information, and more—but even benign borrowers of internet bandwidth can slow you down. Now that you know you need a better password, make it a good one (changing it to “123456” is certainly not going to make your network more secure!). Follow best practices (upper and lower case letters, number and symbols, unique, etc. ), and consider changing it a few times a year just to be on the safe side. The side benefit of changing it? If you’re a parent and have some chores your kids need to done, I’d suggest changing it and holding it hostage until you get what you want. You’d be surprised how quickly kids can move when their access to copious amounts of kitten pictures is cut off. We’ve come to the end of our brief trip down WiFi Way. Hopefully you’ve learned a little bit about the technology you use in your home and feel at least a little better armed when it comes to fixing some of the problems that crop up. There will, of course, be issues that come along which were not covered here. When this happens, we always want to hear from you. Providing quality customer service is a top priority at TDS, and we’re always eager to answer questions from our customers. If you want to get in touch with us, you can leave a comment below find us on Facebook, give us a shout on Twitter or, as always, contact TDS Customer Support at 1-866-571-6662. Now go forth, wireless warriors! Editor’s note: This post was originally published July 8, 2013 and has been completely revamped and updated for accuracy and comprehensiveness. 20 Responses to What’s Up With My WiFi? Thank you so much for giving everyone an exceptionally splendid possiblity to read in detail from this web site. It is always so fantastic and also full of amusement for me and my office co-workers to search your website at a minimum 3 times in 7 days to see the newest issues you have got. Not to mention, I’m also at all times amazed with your incredible secrets you serve. Selected 3 facts on this page are honestly the most effective we have all ever had. I have WiFi that I use my laptop with. My modem looks like neither of those above and I’ve never been asked for a password. What am I missing here? It’s possible that you may not be using a modem issued by TDS, or that the modem you have one of the models mentioned but not shown. As far as the wireless password goes, once your computer has been configured to connect with a wireless network, it is not necessary to reenter the password unless the modem’s settings are changed. It is also possible that someone with access to the modem removed the password to make it easier to connect with. As discussed above, this is definitely not recommended. If you’d like to know whether wireless security IS enabled on your modem, I would advise following the steps provided to change the password and see if security is indeed turned on. If you have trouble with any of this, I would recommend contacting our support team at 866-571-6662. If I am the only user on my PC, are the terms Administrator and my “User name” synonymous? Not necessarily, as that sort of setup varies depending on the operating system your computer utilizes. The biggest thing when gaming online is understanding how much bandwidth is being used in your home. You may, for example, be subscribed to a 15Mbps connection, but are still experiencing slowness. I actually discussed this at length in another article which reviewed common causes of slow speeds. The other thing I would recommend is using a hard connection (ethernet) whenever possible while gaming. I tried playing NBA 2K13 online via my wireless connection on XBox, and would usually wind up standing in the middle of the lane like a statue while opposing guards just dribbled around me. When connected using ethernet, I dominate like the second coming of Wilt Chamberlain. In your instructions above about changeing wireless password, when I get to step 4 and click on security it asks me for a user name and password which I don’t know. It does not show my password for my network. Its possible that someone with access to the router set a password on it. It’s also possible that the router is using the default password. If this doesn’t work, you can perform a hard reset of the modem (returning it to factory defaults) by holding down the recessed button marked “Reset” on the back of the modem for sixty seconds, powering down, and powering back up. I am paying for antivirus through RDS. How do I hook it up. Thanks for the question. This isn’t really something related to the wireless issues we’re discussing, but our support team can take you through the download & installation process with no trouble, any time you like. Just give us a call at 866-571-6662 and we should have your TDS Internet Security up and running in no time. I have noticed, since I have WiFi, every time there is a storm in the area(not even severe)my internet connection is gone and I need to unplug my computer and reboot. I never had this problem before. While it is possible for electrical storms to affect wireless connections, there is likely something at play beyond WiFi. If you’re periodically losing connection, I would recommend contacting our support team at 866-571-6662 the next time you are without service and give myself or one of my colleagues a chance to take a look at the problem live. My home wife will not work my phone says great interntet stretch and so does my kindle tablet… But the kindle has a little x aboave the bars for the signal. I have unpuged the router and also tried refreshing it such is not working? Any suggestions? I have tried multiple times to troubleshoot my V100H with your tech support and have offered to do ANYTHING to fix my wireless problems. I will save the 2 page explanation but I have tried to call and troubleshoot this at least 5 times. Tonight again we went through all the steps with no resolution, I informed him I MUST FIX THIS or I cannot continue to be a customer. The representative gave me the phone number to Actiontech which I called and they said they do not support the router without a 3 way call from my ISP. So I called TDS back and he said we have done everything we can do, I again informed him I will need to switch ISP’s. His response was I quote “well we don’t make outbound calls, so would you like the phone number to our cancellation department”. I run my own business and am always polite when trying to trouble shoot things. But I could not believe the blatant lack of resolution. On a previous call I even said “do I need to just go spend $200 to fix this with a new router” and they said that I could but they won’t support it. So I am stuck between a rock and a hard place with limited options in my area. I hate to go back to comcast but their service at least worked. I have an Actiontec GT724-WG providing Web access for my PC. My wife’s PC in the next room is connected to it via a 50 ft. long cable. We want to move her PC upstairs. Not only will the cable become too short – we also want to do away with its unsightliness altogether. Is it all just a matter of buying/installing a Network Interface card? If so, do I need a NIC for each PC? Or did my PC already have one installed when TDS set me up initially with my Actiontec?